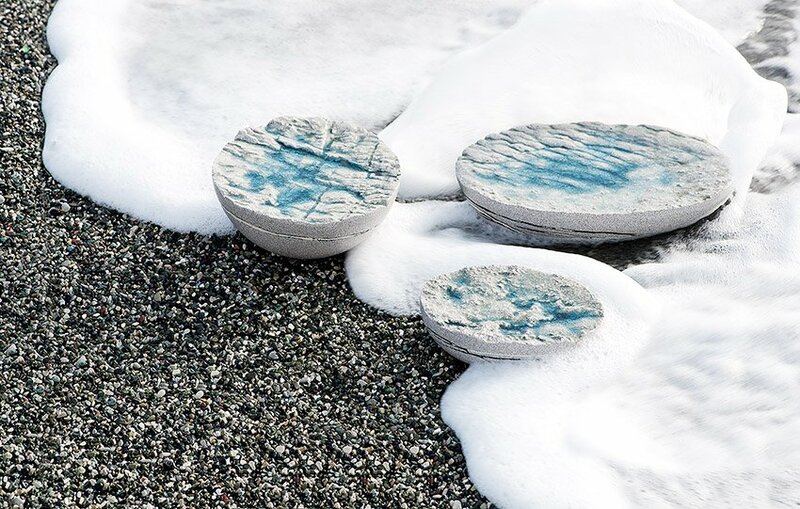 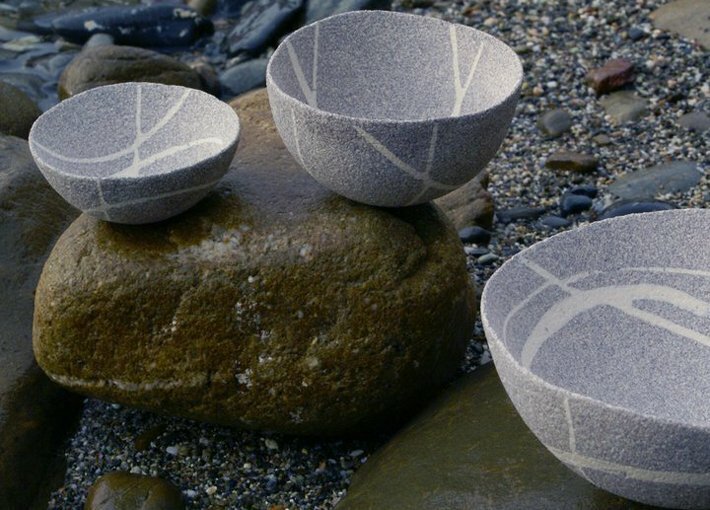 Their colour, the material and their white stripes, these objects look like bowls abandoned by the sea on the Ligurian beach. 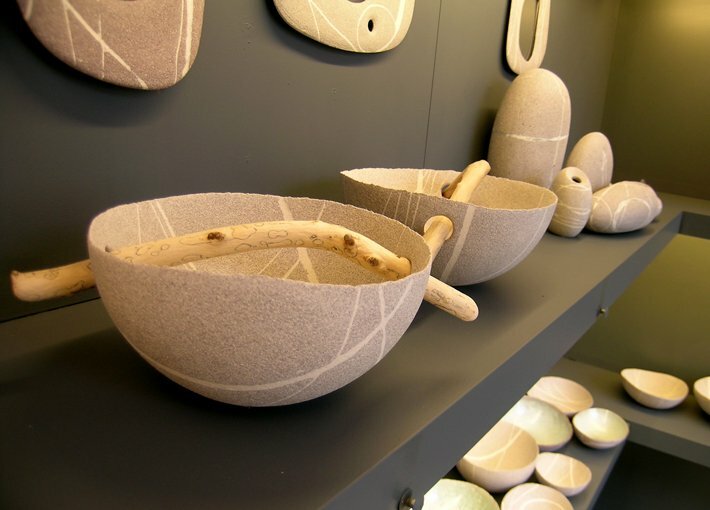 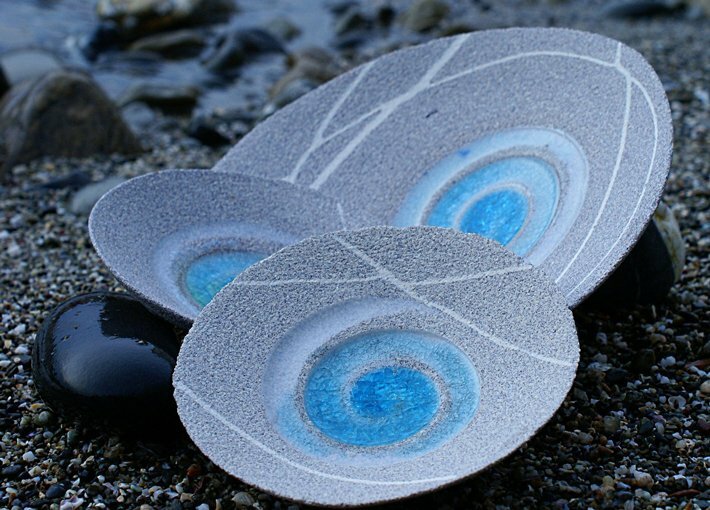 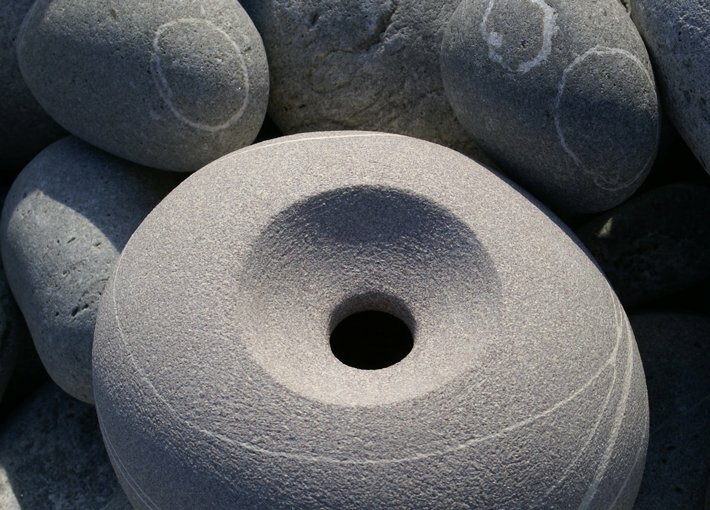 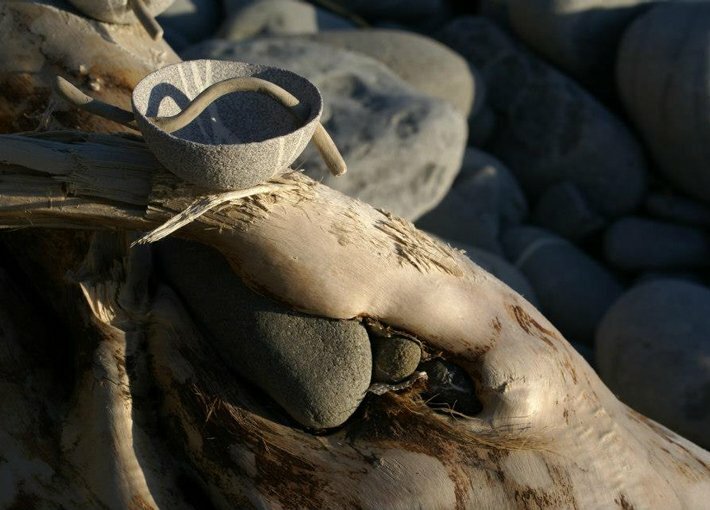 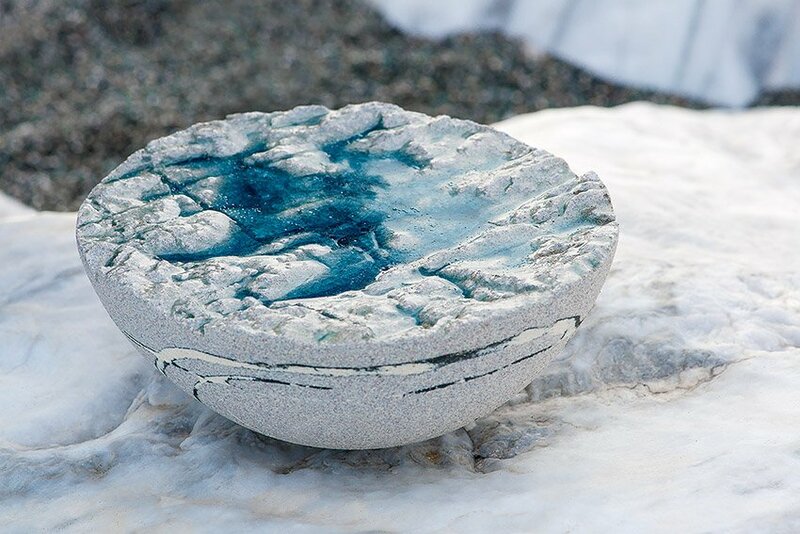 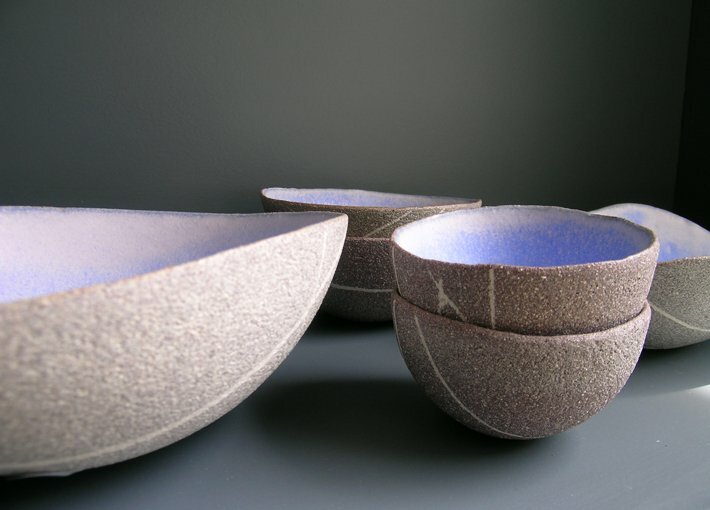 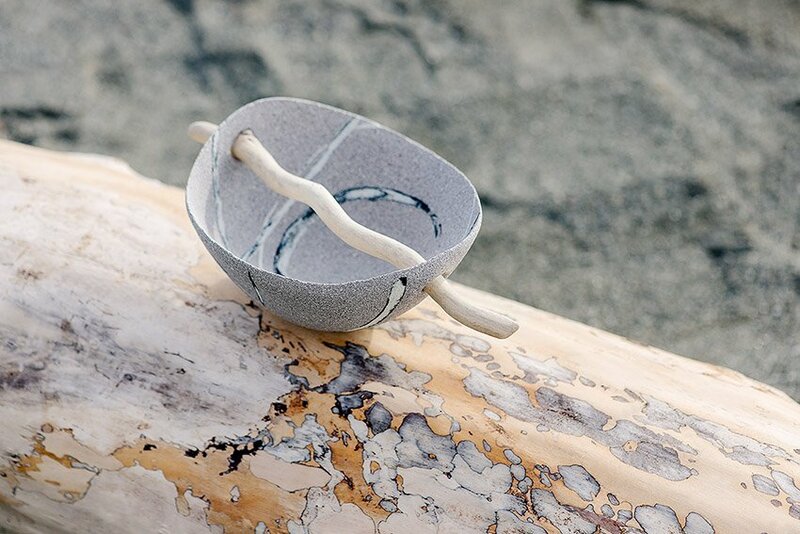 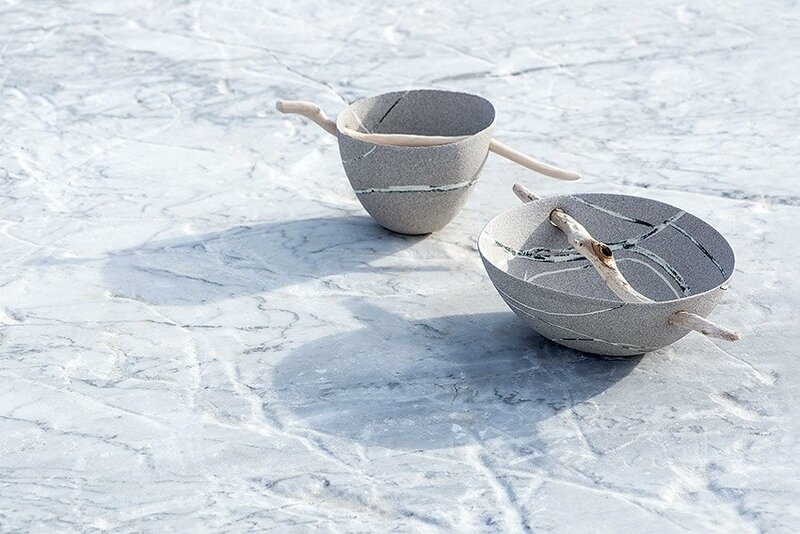 A hollow bowl or vase, with a fine surface, light not withstanding their heavy stone-like appearance, these objects created by the sculptor Alfredo Gioventù are produced at the Opificio Ceramico in Sestri Levante. 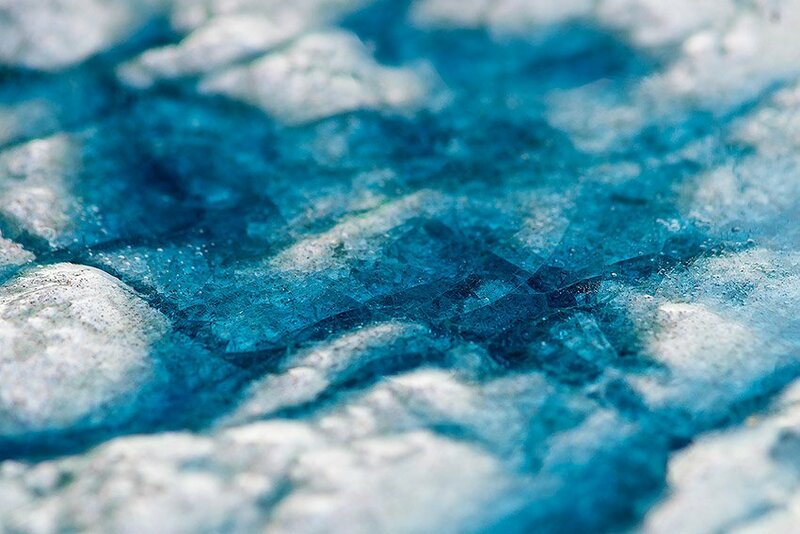 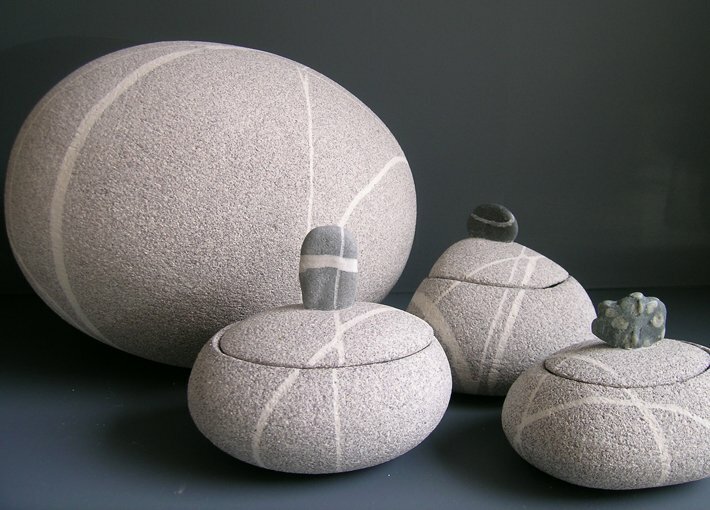 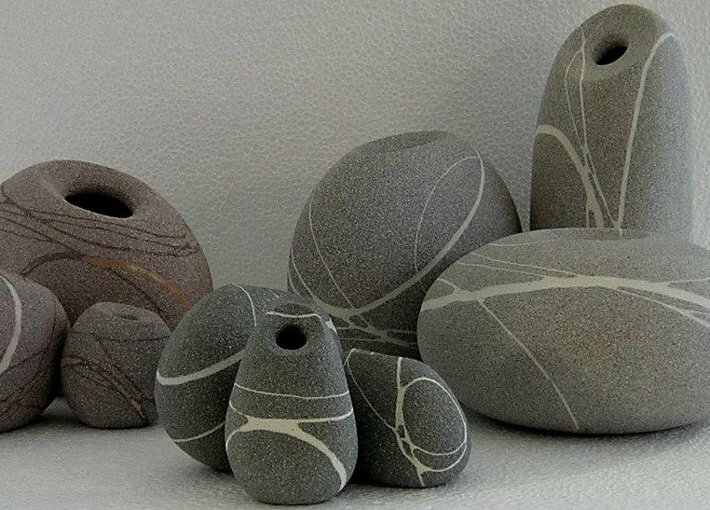 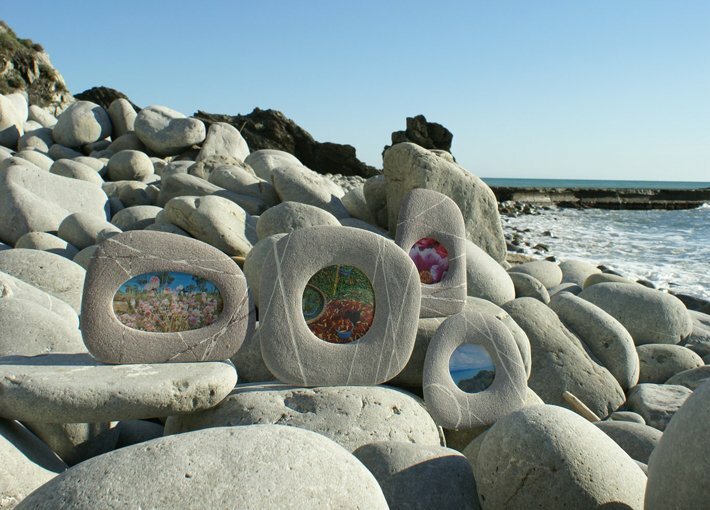 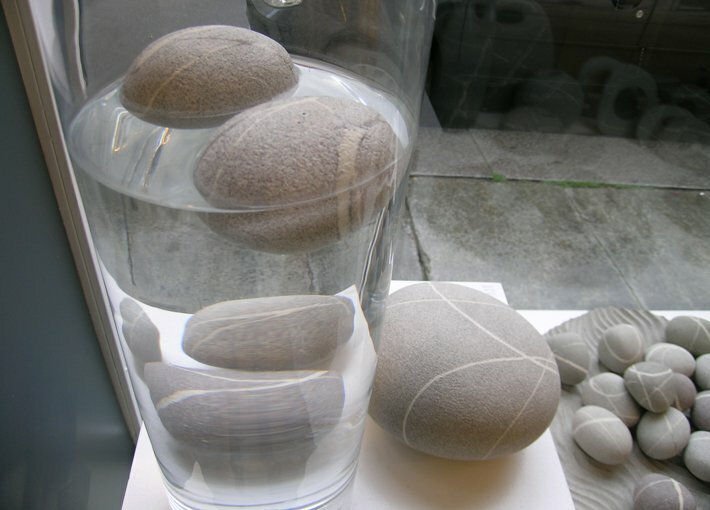 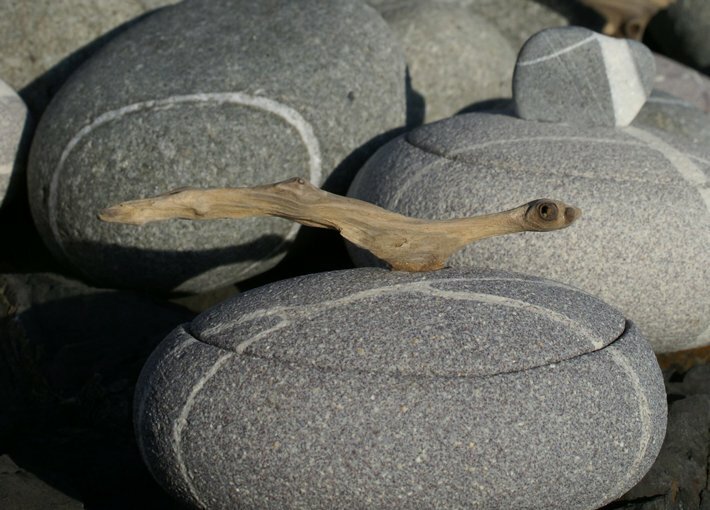 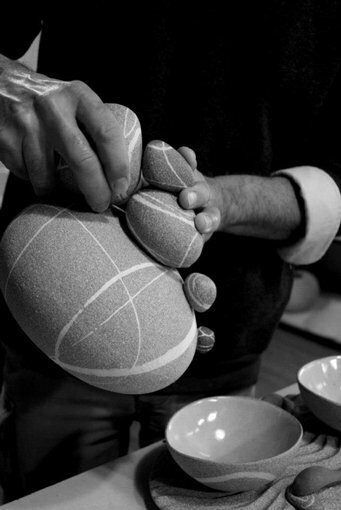 The “stones” are made from gres porcelain.